The recommended months to sow Gymnocalycium seeds are the warmer ones, though if you live in a cold country, you can plant the seeds at a temperature of 21º C (70º F). Keep in mind that if the seeds do not have the mentioned temperature, they won’t germinate. Most species belonging to the Gymnocalycium genus are easy to grow so the container may be a seed tray or a pot. When you sow in seed trays, you must transplant to pots the seedlings once they are mature. Remember that the container should be wide, not long. As any other succulents/cactus, the ideal substrate must have perfect drainage as well as porosity. 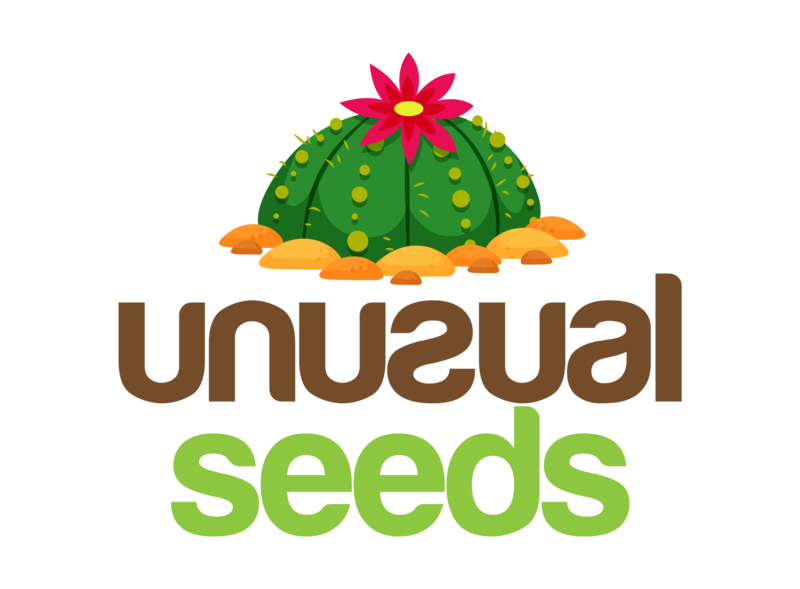 Combine cactus mix with perlite, vermiculite, sand, peat, or any other inorganic material, do not forget that the inorganic material must be more than the cactus mix, for example, 30% cactus mix and 70% inorganic material. Sterilize the substrate and proceed to fill the pot with it. Add plenty of water and leave the container, so that the water has some time to decant. Spread the seeds all over the substrate it is important to mention that you should not bury or press the seeds, just spread them. Spray them and cover with a glass sheet, a clear plastic, a white paper, or a plastic bag. Keep the pot in light shadow place at the temperature mentioned above. It may take some weeks to see the seedlings. Once the seedlings appear is time to remove the cover, and make them meet the sun. Start putting the seeds a few minutes a day in the sun until they get accustomed to it. Do this process gradually, or they may get burned. Note that these steps do not apply to all the species of the Gymnocalycium, make sure your plant belongs to the species who like the sun. If you sowed in a seed tray, you must transplant. Sterilize the soil and do this process during the growing phase. Do not water the plants during a week to force them to develop roots. While rooting, keep the plants at the temperature mentioned above. Watering: the Gymnocalycium are very easy to water. During hot months (summer), the ideal would be watering the plants once a week, as long as you are allowing the soil to dry before watering. Also, it is important to note that when we say “dry” that does not mean that you must let your plant run out of water for weeks, keep a balance. When winter time, do not water your plant because it won’t need it. When spring arrives, water the plant only when the soil is dry. The same that happens in spring happens in fall. If you overwater the plant, your plant will die because of rotten roots, though, if you do not water your plant regularly it will die for lack of water. Light: the light a Gymnocalycium needs will depend on the species it belongs, to make it clear, some species love direct sunlight, while others do it best in a hidden shadow and others like a light shadow place. For example, the Gymnocalycium called the ruby ball needs a light shadow because the bottom of the plant prefers sun while the top of it love the shadow. If you can’t identify the species of your plant, put it in light shadow because it is neutral. Fertilizer: apply fertilizer during the growing season is crucial if you want the plant producing bigger flowers. Apply a fertilizer compatible with cactus, and never feed your plant during its dormant phase (winter). 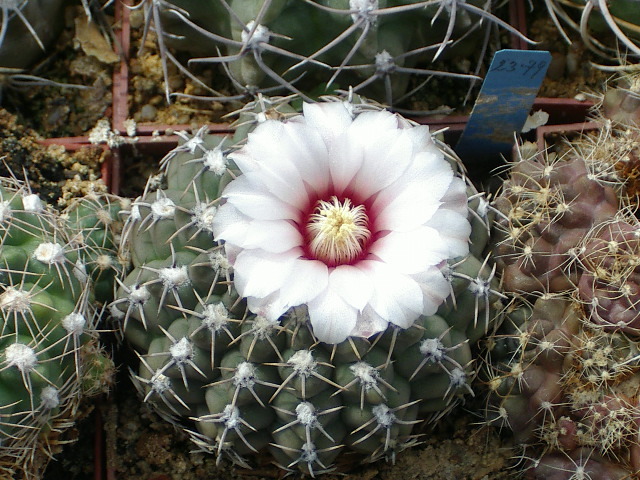 Temperature: a warm temperature is an ideal for Gymnocalycium. To people who live in countries with low weather, you should maintain the plant at least 10º C (50º F). Pests and Diseases: the excess of water lead to rotten roots, in this case, remove the affected plants and re-pot the others. Besides that, the mealybugs affect Gymnocalycium plants, to prevent or to treat this situation use an insecticide cactus-friendly.